Be bigger than yourself: Show people that you care about more than just your own event. Community outreach, supporting good causes, and promoting other events in the area are a great way to get involved and keep your event’s name relevant to the community year-round. Not to mention, this gives you something interesting to add to your emails and social media posts! Be active on social media: Don’t just be active, be engaging, because the best way to get your content to go viral is to make it highly interactive. For example, creative Facebook contests are a fun way to encourage followers to interact with your posts. Use teasers to your advantage: Don’t announce all of your event’s entertainment at once. The performers you’ve booked are one of the most exciting aspects of your event, so keep your audience hooked by releasing entertainment announcements once or twice a week. This will encourage event-goers to frequently check their emails and visit your social media sites because they’re always left wanting to know more. Keep your email marketing alive: With all the social media talk, it’s easy to forget that email marketing isn’t dead. The truth is, it’s inexpensive and can give you some of the fastest results and highest revenue (even above social media). Strategically plan when you send your emails and who you send them to, you may be surprised by the results! Have promotional giveaways: Everyone loves feeling like they got a good deal, and that’s no different when it comes to your event’s tickets. Have a one-day sale, or give away tickets at some of your outreach efforts. Kids will always need to bring an adult, so you can almost guarantee that if you give away a kid’s ticket for free, it will be matched by one or two paying adults. As the promotional and development arm for the City of Rock Springs, Wyoming, the Urban Renewal Agency was established to reinvigorate and support the downtown area of Rock Springs in 2006. Promoting shopping, tourism, dining, and events, Downtown Rock Springs also supports the preservation and renovation of many historic buildings and helps to recruit businesses to relocate to the downtown area through their efforts and membership in the national Main Street Movement. We are thrilled to join the marketing efforts for promoting the City of Rock Spring’s Downtown development by giving them an online destination to match their unique culture and further promote the funding and marketing of their area online! This week we were overjoyed to welcome the Extraco Events Center as our 100th member of the Saffire Family! We’ve been friends with the folks at this venue in Waco, Texas for quite some time as they are the hosts of the Heart O’ Texas Fair & Rodeo, one of our first clients. As we continue to expand into the world of venues and event centers, we are excited to do so with our friends as we help them market the vast amount of events they have at their event center. You can catch all kinds of performances at Extraco Events Center, including the RAM Texas Circuit Finals Rodeo in January and a fantastic Margarita & Salsa Festival in August. We look forward to furthering our relationship with this awesome establishment. We would like to welcome the El Paso County Fair of Calhan, Colorado to the Saffire Family! (They are located right outside of Colorado Springs for those of you who may not be as familiar with Colorado geography.) We’ve seen the team from El Paso County at a few conventions in the last year, including Colorado Association of Fairs & Shows and International Association of Fairs & Events. Meeting with the nice people here on multiple occasions helped them to make the decision to work with Saffire for their online marketing efforts. We couldn’t be more thrilled! We are looking forward to celebrating the future success of this fair and helping them continue to grow as an outstanding county fair of Colorado. Welcome Central Washington Fair Association! 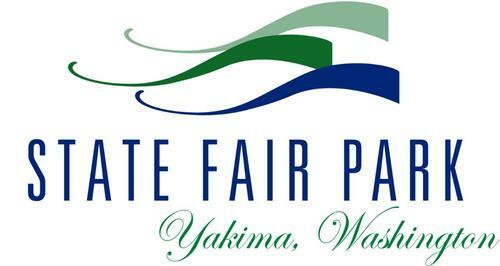 Saffire is proud to announce a new partnership with The Central Washington Fair Association based out of Yakima, Washington. This group produces several big events a year including their largest, the Central Washington State Fair, which occurs every September. We met these folks at the Washington State Fairs Association convention a few years back and started the conversation about moving this well-oiled marketing machine’s online efforts to Saffire. We are excited to help them combine their fair, fair park, and event center websites to give their customers the best online experience possible! Author SaffirePosted on December 2, 2013 April 20, 2015 Categories Clients, FairLeave a comment on Welcome Central Washington Fair Association! That’s right; it’s that time of year again! We’ve all worked or slept off the Thanksgiving turkey by now (hopefully), and we’re packing our bags to go to one of the largest trade shows the events industry has to offer. First and foremost, we love the opportunity to meet with folks from the fair world to find out a little bit more about their events, celebrate their successes, hear about their obstacles, offer our online marketing advice, hang out with them after trade show hours, oh AND visit Sin City! This year we’re thrilled to be presenting on multiple occasions throughout the convention. (You can see our interactive schedule on our website here.) We’d love for you to come sit in and listen! The next thing you’ll definitely want to add to your agenda is the Saffire Tacky Christmas Happy Hour! This will be our third year to host one of our infamous parties in our Paris Hotel suite on Tuesday, Dec. 10 5:30 – 7:00 PM ( room number to be announced during trade show & via email). Stop by booth #1122 and get an invite card which will include a special SaffireScan code. When you arrive at our party, present the invite to have your code scanned to see what “neat” holiday costume item you’ve won! While you’re there, be sure to try a Cup o’ Good Cheer Cocktail, some Rosemary Pecans, Merry Meatballs, home-made sugar cookies, and of course our World Famous Saffire Queso! As you can see, we have quite a bit of fun preparing for this grand adventure to Las Vegas, especially when packing crock pots is one of the first things on our list. You may find this to be one of the most interesting things in our suitcase, but we couldn’t host one of our parties without a handy crock pot or two (or maybe three). The look on the TSA agents’ faces as they sift through koozies and crock pots is enough to make it all worth it. We can’t wait to see you all at the convention. We’re sure it will be a blast. Safe travels!